Jill Morell, M.A., L.L.P.C., earned her Master of Arts in Counseling from Oakland University. She is licensed by the state of Michigan as a limited-licensed professional counselor. 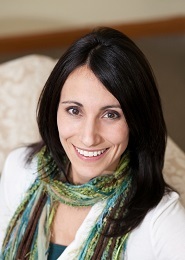 Jill specializes in adolescents and young adults, but works with clients of all ages. She encourages, challenges, and supports her clients by using an eclectic approach which is tailored to meet the needs of each individual. Jill incorporates humanistic, person centered, and cognitive behavioral approaches, as well as interactive play therapies with children. She also offers ADHD evaluations for children and adults. Jill’s compassionate heart and gentle spirit allows clients to feel encouraged and safe by providing a nurturing, and non-judgmental environment. Jill strives to create an atmosphere that is based on trust, authenticity, respect, acceptance, and unconditional positive regard. She believes these qualities are at the heart of counseling, and are necessary elements for true healing and growth.